Given the epidemic of war hysteria, it would not be preposterous to believe this is the last prediction from this side of the Line of Control (LoC): Narendra Modi will win over Rahul Gandhi in the 2019 Indian General Elections. How did I get hold of this conclusion? No, I am not planning on meddling in India’s elections and it is perhaps important to unequivocally state this, lest I become a dart board for the Indian right-wing. But there is a bigger game at play – a theatre of identity politics. A facade to cover up economic performance (or lack thereof). In the lead is Modi’s Bharatiya Janata Party (BJP), but the spot is under increasing scrutiny from the understudy: Rahul Gandhi’s Indian National Congress. In the midst of this movie is Pakistan. 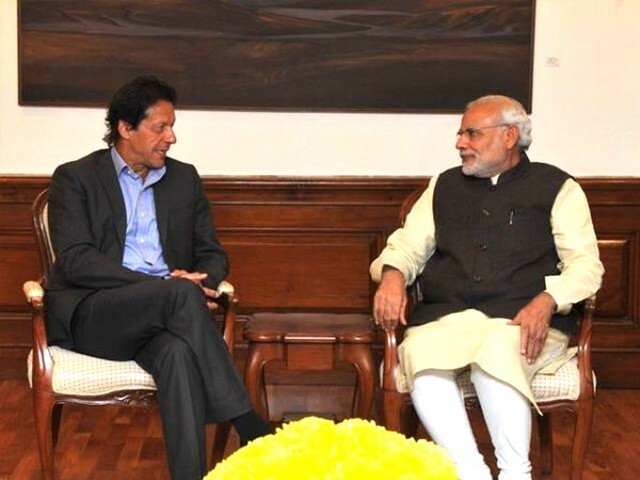 As we shall see, Pakistan’s good intentions are actually consolidating Modi’s 2019 ambitions. What’s going on in India’s politics, apart from the dominant war mongering narrative? This skirmish, with the BJP coalition in one corner and the rest of the 21 parties in the other, is a specific symptom of a wider disease in India: right-wing nationalism. Many analysts cited this as a contributing factor to the rise of Modi in populism-based analysis. The numbers back this: In 2014, 31% of the popular vote was snapped up by Modi’s BJP. However, actually, the main reason for Modi’s victory in 2014 and these cross border theatrics before the 2019 General Elections is based upon economics. In the lead up to Modi’s victory in 2014, the dominant narrative of the election campaign was to revitalise India’s economic growth. By 2014, India’s strong trend of garnering around 8% on average economic growth shattered and it went to around 5% economic growth. Now, Modi with an unquestionably ethical reputation came in. Utilising the “bring India back to former glory” narrative, he aimed to revitalise employment and instill prosperity to India’s various constituencies. However, the rhetoric could not translate to reality. This showed in the recent elections in December 2018. Modi’s BJP lost the core rural states of Rajasthan, Chhattisgarh and Madhya Pradesh – where two-thirds of India’s 1.3 billion strong population resides. Analysts say that the main reasons for the loss attribute to the lack of Modi’s inability to create jobs for the youth and ameliorate the economic conditions of farmers. Consequently, the BJP suffered a crushing defeat. And Gandhi’s Congress is now at the vanguard in these key spaces. Modi is a fighter though. Realising that the economic front may be lost, he set out to conquer another front – India’s international pride. It is not a novel tactic. History has seen great politicians apply it. From Winston Churchill’s wartime prime ministership to George Bush’s emblazoned presidency response to 9/11 – this has been the essence of political survival for politicians seeking reelection. Modi has brilliantly taken on the persona of the political animal required for this brand of political survival. With emblazoned Twitter rhetoric, strong public statements and the marginalisation of Congress, a star is born in the form of Modi. And now the Indian right-wing has fuel for the fire. Modi will use his control over the torch to successfully seek reelection in 2019, as was done by Bush and Churchill before him. But this is not where it stops. In an almost Leviathan-like fashion, Modi is attempting to use this crisis to set the slate clean for his political scandals as India goes towards election season. Nothing exemplifies this better than going as far as claiming that the Indian Air Force (IAF) is weak due to the lack of Rafale jets. For context sake, the 206 Rafale jet deal is a controversy where watchdogs have claimed that Modi gave an overpriced contract to one of his preferred dealers in a collusion-based fashion. This inflated contract resulted in the units of Rafale jets being procured to be reduced. However, Gandhi can tweet all he wants. Minor political scandals aside, with this current tense atmosphere, Modi now has a legitimising factor to bolster up the defence budget even further. This will give weight to his “strong leader” posture as arguments for defence safety nets against Pakistan will be a driving factor come 2019. But Modi’s blockbuster triumph could not have been without a strong co-lead in the form of Pakistan. Like him or not, Imran Khan has the manners of a gentleman. Releasing the Indian pilot was the morally just move. And the broad symbolism it provided probably averted war. However, this act of chivalry is a poisoned chalice. While it may have given Pakistan the seemingly upper hand in terms of moral righteousness, it also gave off the perception that Pakistan is weak and it fears India. This is precisely what Modi and the right-wing are counting on to carry them through 2019: the appearance of being the strongest leadership that India could have. From the Pakistani point of view, it would have been better to return the pilot but after an exchange of Pakistani political prisoners in India. But Modi has his fuel for 2019 and Imran has his moral righteousness for now. In the grand scheme of things, de-escalation will start taking place even if structural changes won’t. There will be a new normal: more weapons and more belligerent postures. However, an all-out war is ironically a long shot as long as both the nuclear powers have mutually assured destruction promised. What did we learn? Forget economics, forget politics, forget history, forget arsenals – perceptions is the driving factor in international politics.